Most of us carry our lives with us in digital form: laptops, tablets, phones, digital cameras – these electronic items store all of our necessary information. Still, we often carry them around without adequately protecting these investments of money, time, and data. The Fugu Bag from designer Peng You is meant to provide a cushion around your electronics to keep them safe wherever you go. Like its namesake, the little fish that puffs up with air to protect itself from predators, the Fugu Bag is lined with inflatable sacs that provide effective but lightweight protection. When you plan to carry around your electronics or other fragile items, you can inflate the sections and rest assured that accidentally bumping your backpack against the pole on the bus won’t crack your iPad’s screen. The interior cushions inflate in just one minute and can stay inflated for up to five days. When you’re only carrying books and other non-breakables, the bag gives you more space by letting you deflate the interior cushions. 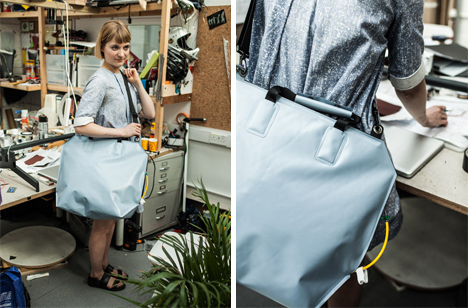 The bag then just looks and operates like any other, but it is super-strong and weather resistant. 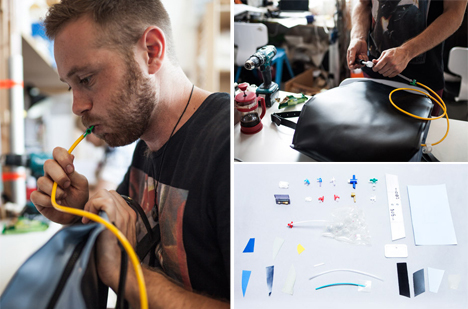 Rather than sewing the bag panels together, the designers welded the seams to make them extremely durable. 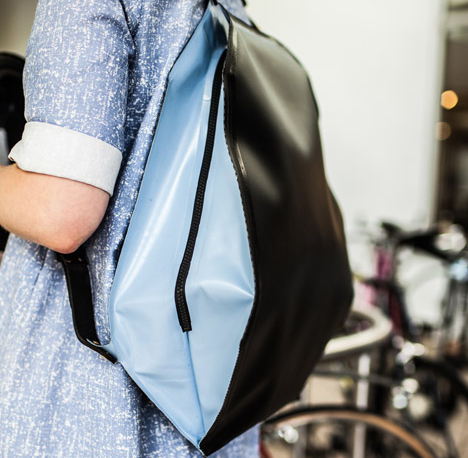 The bag was made for people in urban areas who may experience more than their share of jostling and bumps. 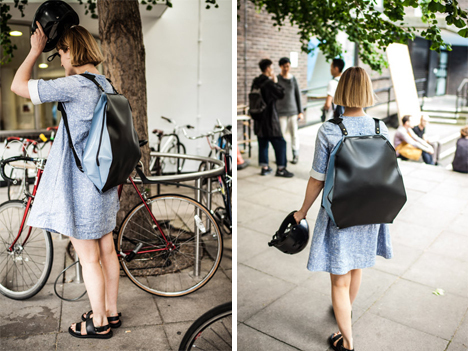 The design was first shown at the Show RCA 2014; there is no word yet on whether the Fugu Bag will ever be produced and marketed. See more in Industrial Design or under Technology. July, 2014.